A Jake Hyde brace, accompanied with a Ben Gerring goal, was enough for Woking to claim the three points against Hungerford. 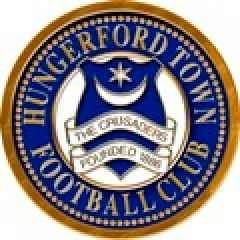 However the score line is a harsh reflection on the match with Hungerford matching their opponents for large periods. They started brightly and had early opportunities. The best chance fell to Danilo Orsi-Dadomo. Josh Martin drove into midfield and picked out Orsi-Dadomo in the middle of the Woking defence before he was excellently denied by Craig Ross. Tobi Edser’s shot was tipped over by Jacob Weaver and the resulting corner ended up in the corner of the net by Hyde for a fortunate home lead. Just a minute later it could have got worse with Gerring coming close from the next corner. Weaver did well to smother up Nicky Wheelers shot before Darren Foxley missed Hungerford’s second big chance, Ross with a fingertip save. Woking started on the front foot in the second half which earned them an early penalty. Marcus Johnson-Schuster was the culprit fouling Wheeler with Hyde smashing the penalty straight down the middle. However the Crusaders battled back looking for a goal. Captain James Rusby should have provided it but couldn’t keep his composure and curled over after the Cards defence had been opened up once again. However just 5 minutes later Gerring was to seal the win with another header from a corner. Weaver denied Hyde a hat trick with a superb one-handed save but a fourth was not deserved as Hungerford gave a good account of themselves and with more ruthlessness in front of goal would have taken something from the match.